This recipe is a sweet twist on a classic favorite. This delicious salad comes together quickly and makes a great addition to any table. 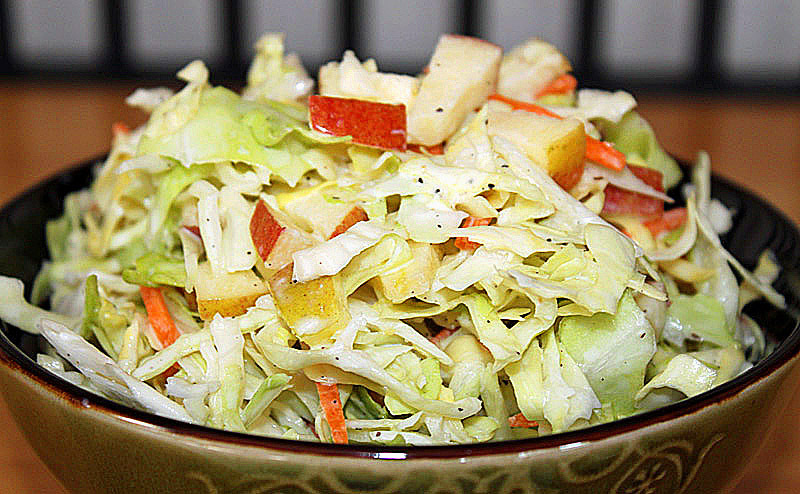 Add the cabbage, apple, and carrots to a large bowl. Mix the ingredients for the dressing in a small bowl. Fold the dressing into the cabbage mixture and serve.